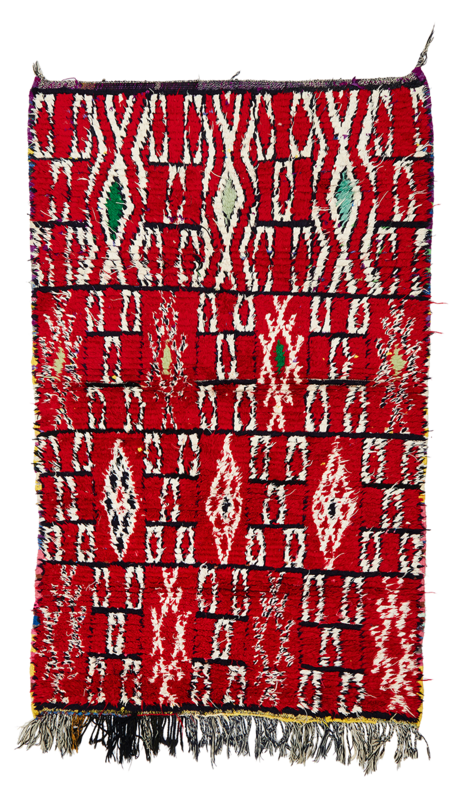 This small rug has incredibly soft red threads that gives it a precious feel. The red is bright and shiny. Original traditional diamond-shaped motifs decorate the entire surface. Notice the delicate green hues.